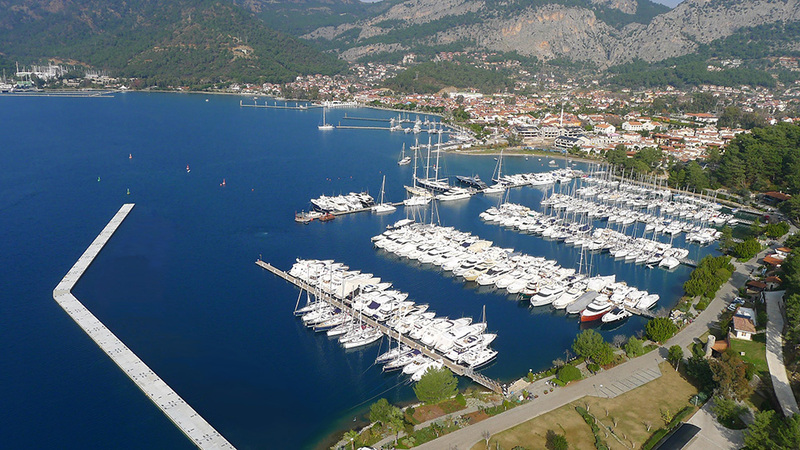 GOCEK (Göcek) has long been a desirable destination for both Turkish and foreign yachtsmen, as well as a favorite stopover for jet-setters and celebrities alike. Named ‘Kalimche’ in ancient times, this small town is one of the Lycian settlements found between Caunos (Dalyan) and Telmessos (Fethiye). This paradisical village of four-thousand inhabitants is only 18 km and 15 minutes by car from Dalaman International Airport, which can be reached in 1 hour from Istanbul. From the airport, there are several transportation options to reach Göcek; you may arrange your transfer in advance or get one of the yellow taxis. 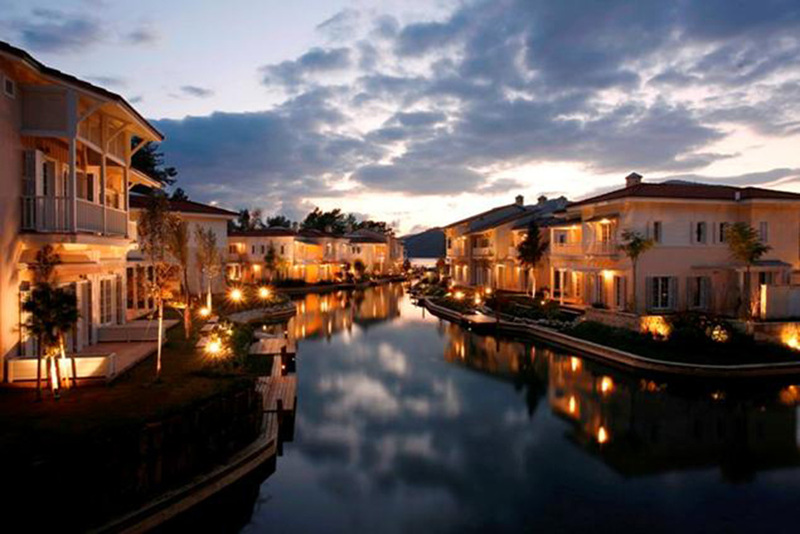 The Gulf of Fethiye has much too offer. History in abunance, In Manastir Bay, Under water ruins, the sunken bath dedicated to Cleopatra, the Queen of Egypt. Nature at its best, an area which has inspired amny an artist to paint the surrounding areas. One example is the Taşyaka Bay where the rock is located on which Bedri Rahmi Eyüboğlu, a poet and an artist, created his famous fish painting. Variety for all to enjoy. Daidalos was the original name given to Göcek and the surrounding area in ancient times. Legends claim that the name is derived from the architect Daidalos who was, the creator of Icarus, the first man to fly. It is also believed that Daidalos or Göcek served as the main port town of Lycia in the times of Strabo and Herodotus. In the village of Inlice, 5 km to the south of Göcek, There is a temple-type rock tomb at the entrance of the village. This gives us an idea of the boundaries of the ancient city. Time has moved on, changes have and are still occurring but most importantly, the peace, tranquility and spectacular beauty of Göcek and its surrounding areas is still very much alive and relatively un touched. Which kind of services available in Göcek? If you choose to spend your holiday in Göcek, you will find a variety of holiday choices that include social and cultural events, technical and health support and the ability to accommodate many special requirements. 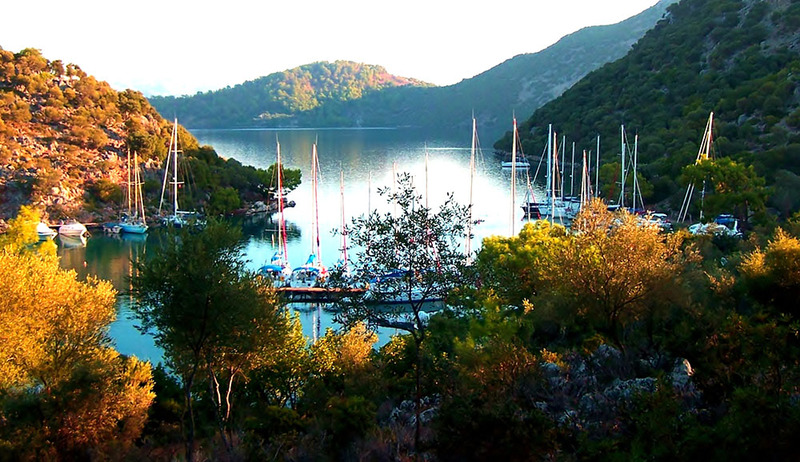 Regardless of how you arrive, Göcek is an excellent gateway to the South Aegean coastline and the Mediterranean Sea. It is an ideal starting point for many magnificent destinations over a variety of routes. With perfect green shores, paradise bays and turquoise waters. Göcek’s reputation has spread all over the world and a long holiday season that starts at the beginning of April and continues well into November provides ample opportunity for a holiday visit. In December of 1988, the Environmental Protection Agency declared that the 805 km square area surrounding Göcek and Fethiye was a protected area. After the enactment of this ruling, new buildings could not be constructed with more than two and a half storeys. Almost all of the buildings and accommodation found in Göcek today are two storeys or less, which limits the number of rooms in hotels, apartments and pensions to provide a more personal touch for guests. 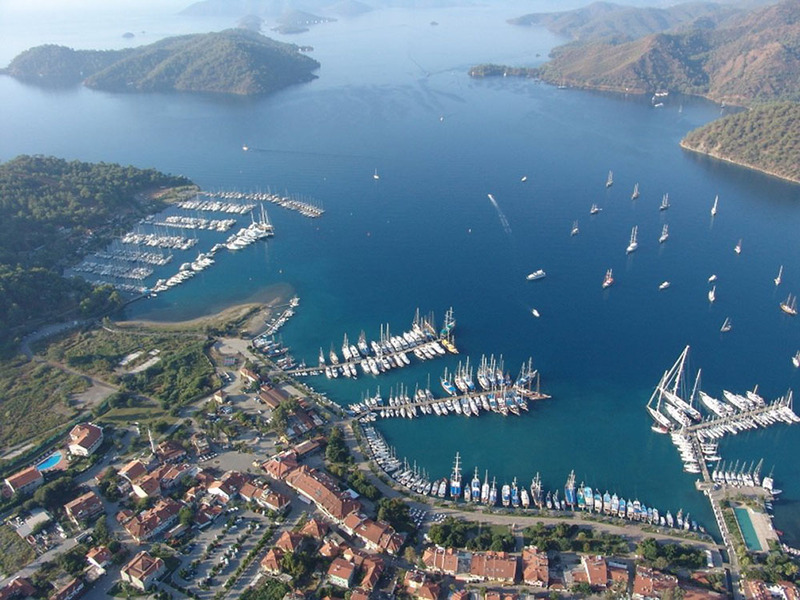 Residents who combine hospitality and local character to provide an excellent holiday experience operate most of the companies that offer accommodations in Göcek. How Göcek protecting it’s nature? Green pine forests surround Göcek, except to the south in the direction of the sea. It offers many choices to satisfy all holiday needs in a perfect natural environment. The Environmental Protection Agency, the Ministry of Environment and Forestry and the Turkish Marine Environment Protection Association, have started a Sea Management Project for the Göcek region. In an effort to protect the trees along the shore, 205 cleats have been located in the bays for mooring yachts and it is forbidden to moor your yacht to the trees. 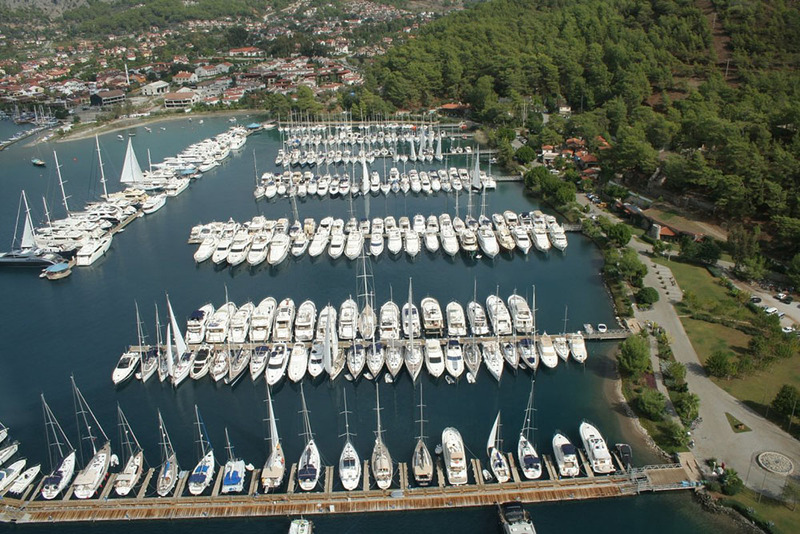 Charts with thelocations of Göcek Bay mooring cleats are delivered to visiting yachts by the pump out boat. Under the provisions of Forestry law Nr. 6381, you are subject to a fine if you moor your yacht to the trees. If you don’t have a list of “things to do” before you are too old, we recommend you start it with “Explore Göcek”. Come, join us in Göcek this season, and discover a totally different way of enjoying Turkey. Stay at internationally renowned boutique hotels, swim at a private beach or in one of the dozens of heavenly bays of Göcek, dine at gourmet restaurants, or enjoy a day of sailing in the blue and green fjords of the Mediterranean and at last don’t forget to relax in Afrodit Spa & Turkish Bath.